Sorry I left with a bit of a rant and then disappeared, it’s all been rather busy here at Slummy Terrace. We now have a fully functional kitchen, non-rotten windows and are slowly peeling back the 1970’s from our living room. I think it’s beginning to feel like home and this has been helped along by the changing seasons. Apart from our early viewings, way back in January, I have only ever seen this house, and the surrounding area in the summer, and now that we are well into Autumn there are a new round of discoveries to be made. The trees in the park got and are now rapidly shedding their autumn colours, the central heating is on, and miraculously seems to work and the tricky question of how to entertain an almost toddler on a cold wet day is rearing it’s head. 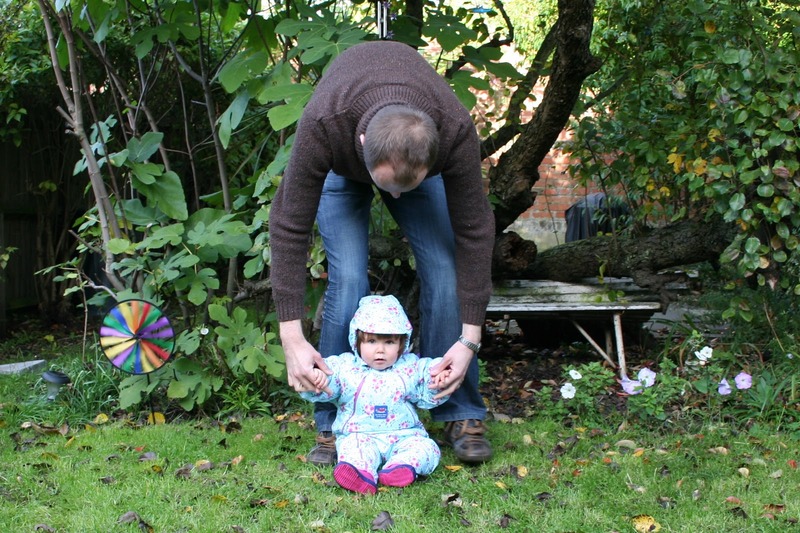 This morning we trudged to the library – me in wellies and a hiking jacket, Evelyn protesting under the buggy raincover. This afternoon I think I might just put on “Happy Feet” and hope for the best. But as well as the house and the seasons, big changes are afoot with the little one too. Her vocabulary is expanding by the day and she’s even learnt a few useful things, like how to ask for more food (ahh my genes are definitely in there!). We’re also hovering just on the brink of those first steps. 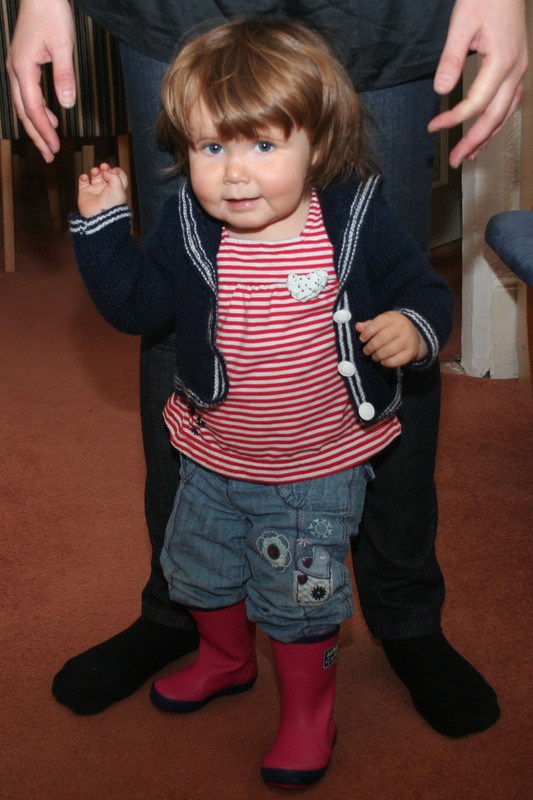 She can now stand up by herself, so long as she’s distracted by something and doesn’t realise she’s doing it! 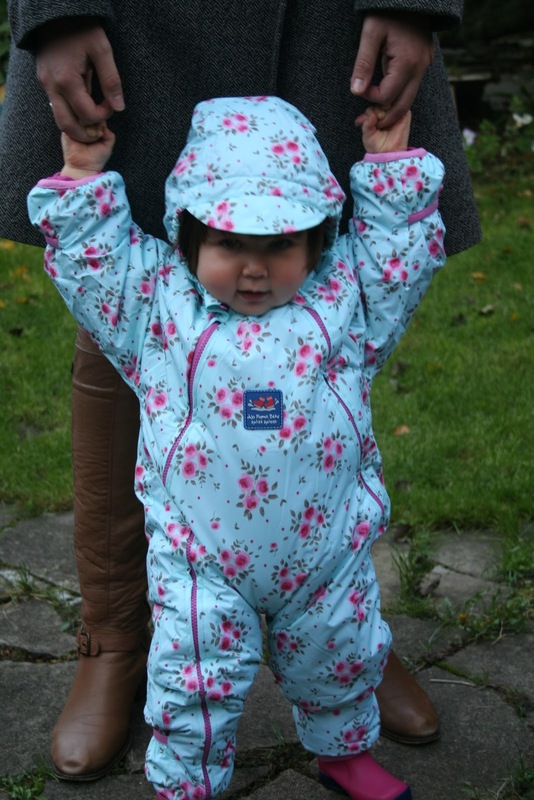 With this bad weather settling in I’m hoping it won’t be long before she’s up and about and have kitted her out with wet-weather gear ready to let her loose upon the puddles of South London, I figure that she’s going to end up in them one way or the other and walking is probably preferable to crawling! Previous: Previous post: The NCT Uncovers Shocking Hidden Crime Wave!